Rajendra Serber makes choreography for stage and screen. In 2012 his latest film was presented on Dances Made to Order. Dance Mission presented his live choreography in on their stage in San Francisco in 2011. He was awarded the DANCE MOViES Commissions for a new dance film which premiered in 2010. This work was developed in residency at San Francisco Film Society's FilmHouse and the Choreographers in Mentorship Exchange award. He was the Associate Producer of House of Dance, which was broadcast bimonthly on San Francisco's public access channel. His work for stage has been supported by grants form the Zellerbach Family Fund, had residencies at The LAB and 848 Community Space, and was nominated for multiple Isadora Duncan Awards and Lester Horton Dance Awards. He has collaborated on new works which were presented in San Francisco, Berlin and Paris. 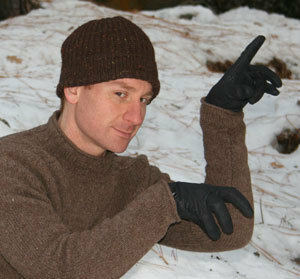 He has performed in the choreography of Sara Shelton Mann, Scott Wells and collaborated on choreography for film with Dandelion Dancetheater, and multimedia presentations with The Residents. I just found out that I was nominated for an Isadora Duncan Dance Award as part of the “Company Performance” category with Scott Wells & Dancers performance last year of Gym Mystics & Wrestling with Affection. 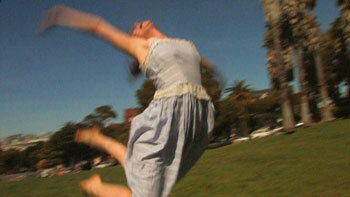 Bay Area Dance Awards are monday nite. I’ve been co-organizing the West Coast Contact Improvisation JAM since 2012. I’ve taught Contact Improv in San Francisco, Los Angeles, Norway, Australia, Ireland, France and Finland. I can’t really remember a time when contact improvisation wasn’t part of my life. I’m the same age as Contact Improv. I think it must have come from my father, who was a national wrestling champion in Argentina. Before I could even walk I was being rolled and flung around by him. I grew up wrestling as a playful and loving practice. It wasn’t until I got to college that I found there was a name for it. Since that time I’ve studied a variety of physical forms: Contact Impov, Cuningham Technique, Release Technique, Butoh, Alexander Technique, Astanga Yoga, and Tai Chi with teachers Anna Halprin, Scott Wells, Sara Shelton Mann, Kathleen Hermsdoff, Simone Forte, Oguri, Akira Kasi, Viola Farber, Daniel Lepkoff… and Others.